Welcome to the Sunday Feature: A new effort to bring you lengthier, more in-depth stories on some Sundays. EDITED: 9/22/13 7:22PM: For grammar, links & change of picture. This is the first of a two-part series on younger candidates in Massachusetts politics. BOSTON—During the summer months the room off the main bar area at Cornwalls, a Kenmore Square establishment, with its pool tables and juke box is a nexus for Red Sox fans before, after and—for those without a ticket—during games. The rest of the time it is a hangout for students and neighborhood residents alike. Such was the case one night in August as residents and curious others wandered back and forth to listen to Michael Nichols make his pitch for City Council. Rocking a black pinstripe suit like he was born to wear it, Nichols, 30, described his vision and the future of a district that snakes its way through some of the city’s most famous neighborhoods. Younger people running for office is not particularly new or unique. The man Nichols would succeed, Mike Ross, is a perfect historical example and the Boston area has its own constellation of rising political stars in Cambridge, Littleton, Lowell and Shrewsbury. But the bigger the city and higher the office, the less baby-faced electeds one will find. In Eastern Massachusetts, that may be changing as a massive game of musical chairs in Boston and coincidental legislative vacancies are shaping up to give the Millennial generation its largest entry yet into city and state politics. With issues like jobs, affordable housing, transportation and college debt hitting young adults particularly hard, their peers’ entrance onto the political scene could not have come too soon. One at-large Council candidate in Boston, Michelle Wu, did not wait for retirements. She began her run weeks after helping Elizabeth Warren, a former law professor of hers, score a seat in the US Senate. The early edge has paid off with Wu becoming ubiquitous in the Hub, even if it seems surreal at times, “I’m surprised to find myself running for office…still,” Wu said during an interview in her headquarters in the South End. The special election fever in Massachusetts has benefited some Millennials already. Although the primary was thought the more competitive contest, last Tuesday, Daniel Donahue, 26, of Worcester won a special election for a seat in the state House. A lifelong resident of the Quinsigamond Village in the city’s southeast, he told WMassP&I after his win it was “a very humbling feeling to go serve my community” in Boston. Daniel Cullinane, 28, also scored a House seat Tuesday from Boston‘s Dorchester neighborhood. Timing has played a role in this changing of the guard in state politics. Donahue’s election only occurred because John Fresolo resigned amid an ethics scandal. Nichols, who works for the full City Council as research director, would never fathom running against one of his “bosses.” The District 8 incumbent, Mike Ross, is retiring in order to run to replace Mayor Tom Menino who announced he would not seek another term earlier this year. The seat Nichols seeks has history of electing young people. Ross was elected in 1999 at age 27. 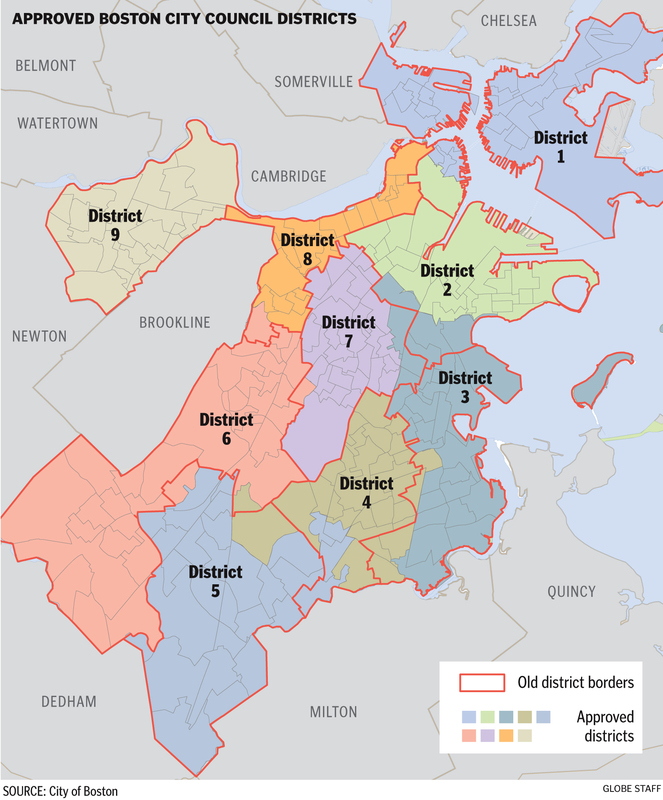 But to put things in perspective, Nichols’s opportunity to snag the Council seat made possible by an upheaval in Boston’s politics not seen since he was ten. Even Wu, who began her campaign last December, had the benefit of channeling her connections and more than a little bit of War-renthusiasm into her own campaign. Among council challengers she has led in fundraising, boasts 14 endorsements from the city’s legislative delegation and has a solid staff and volunteers, many Warren and Ed Markey veterans. Julia Leja, who worked for Markey and served as the state Democratic party‘s finance head, is managing her campaign and she just hired Mike Firestone, Warren‘s field director, to lead get out the vote efforts. Credentials certainly have not been a problem for any of them, either. Wu worked on streamlining Boston’s permitting process after undergrad and developed the “Food truck challenge,” which has led to a proliferation of the mobile eateries in the city. On Warren’s campaign she managed outreach to ethnic and minority communities. Like Wu, Donahue got his start on campaigns, working for former Lt. Governor Tim Murray’s campaign committee after a brief stint with the public defenders office. When Joseph Petty was elected mayor, a chairman of the board position in Worcester council-manager government, Donahue became his Policy Director and assistant Chief of Staff. Nichols path was less overtly political. Moving to Boston right after Law School, he worked as counsel for the legislature’s Bonding Committee and later as then-Rep Linda Forry’s counsel. He then took his current job at the City Council. As he is fond of saying, “I’m the only one in the race with city, state and local association experience,” referring to the association in Audubon Circle where he lives. “There are not too many elections where people would say ‘I do not want the experienced candidate’” Nichols added. Credentials are not everything to voters and moving past any false impressions is critical. “I get asked every single day on the campaign trail how old I am,” Wu said laughing. When she tells them her age, “People are relieved because I look even younger.” Wu’s small stature underlines her apparent youth, but both belie her organization, one of the election’s most formidable. To connect with Boston’s diverse swath of struggling urban poor, up and comers, and famous Brahmins, Wu also offers a compelling life story. A few years ago, her mother began to suffer from mental illness. Wu, the oldest of four sisters, moved back to Chicago to care for her younger siblings. Having played the role of parent to her sisters, she says she can relate to a public school parent as much as the priced-out twenty-something starting fresh in Beantown. To strike a balance, her platform covers schools and innovation in a way that cuts across the electorate’s diversity. Both Wu and Nichols talk about schools, for example, in such a way that speak to existing parents of children in the system, but also to younger adults starting families who would like to remain in the city. Nichols’s district “suffered the most under the School Dept allocation of schools.” he said, which has only one public school. Taller than he appears in photos, Nichols waxes exuberant about the city in a way that almost hides his inner policy wonk. To appeal voters concerns, he gets personal. “I always knew it was going to be Boston,” Nichols says during an interview, but he faced the same housing problems as every newcomer. He relates his own tale about using a program that links up people with affordable homes for sale, his statehouse salary being too low to meet the average income needed to own in Boston. As important as the issues that face younger folks are, however, there is an inescapable fact that the electorate in municipal elections tends to skew older. On nighttime transportation, Nichols rejects some conventional wisdom that often casts the issue as a fight for the right to party. Instead, it’s a public safety issue. “Younger people tend to dominate the hospitality industry,” and, “Want to see a safe way to get home,” he argued. Forty miles away in the 16th Worcester District, some of the issues facing residents are a bit different. Working class woes dominate here. During an interview at a pizza joint in the city’s southernmost talon, Donahue, in his obvious but folksy “Wuh-stah” accent, said foreclosures and crime are big problems. While he laments that jobs are not plentiful like they were for his grandfather, who raised a family with only sixth grade education, he’s bullish on the area and the city’s future. “Worcester has these incredible urban neighborhoods,” he said referring to College and Vernon Hills and his own “Quinsig” Village, a mix of close and modest single and multiple family homes. He talks in nuts and bolts terms, naming, as he has in other interviews, the need for more attention to sewer projects along US Route 20. Donahue styles himself a “son of the district,” and “wants to be a part of its future.” He grew up and went to college here pointing out that his Alma Mater, Holy Cross, is at the end of his street. He seemingly faced less headwinds over his age since his nearest competitor in the primary was only 19. He defeated Republican Carol Claros, a 30 year-old single mother, by a 2-1 margin and is due to be sworn in a few weeks. Heavy support from Worcester’s political players and unions played a hand in his victory, but even those outside the city were impressed with the vigor of his campaign. Donahue is “a machine,” Kate Donaghue, a longtime Massachusetts activist and Demcoratic National Committee member said. Having long encouraged younger people to be involved she said “Dan was one of the hardest working” whom she helped out. Donahue signaled that he wanted to bring his connections and experiences in the mayor’s office to bear on Beacon Hill and on behalf of constituents. Donahue declined to criticize his predecessors, but some critique is implied when he says it is “important to have someone who is going to be a bulldog” and plans to show that kind of leadership for the district. Donahue did not back off that commitment when asked if he could deliver and overcome his own lack of seniority and the potency of Beacon Hill’s interests. For what it is worth, Nichols and Wu face a similar problem: the second banana status some have given the City Council in Boston relative to the mayor. Both said that with a new mayor incoming, the dynamics will change. Wu suggested the transition will allow the dynamic between the branches to be reevaluated. Nichols said, since much of the council is not retiring, the body could prove stronger than it has in years. For Donahue the hard work of election is over and now the hard work of representation begins. Nichols and Wu still have, at a minimum, another week-long slog to remain in the game. Both appear poised to make it past the preliminary, but that reward is another six week sprint to the finish. With campaigning and transition to politics come costs. “I would feel very lost” if not for the Warren campaign, Wu said noting that working on a campaign gave her great insight as to what the candidate’s life is like. “Running for office,” she said, “is a sacrifice for anyone.” Privacy, summer vacation, personal time, all take a backseat Wu explained. Nichols has faced other challenges too. While his fundraising is impressive for a first-time candidate, he lags behind Josh Zakim, also close to Nichols in age. Complicating matters further, as a government employee, he cannot raise money directly for his campaign. Day to day is also a bit complicated. Nichols has been working part-time since the campaign began and had put in a few hours before his interview with WMassP&I. He added that a stumbling block for many younger people looking at elected office is not having adequate savings, which he was fortunate to have. “Align yourself in a job position that gives you the flexibility to run,” he advised future young politicians. Donahue more or less did the same as Nichols. Donahue resigned from Mayor Petty’s office shortly before the August preliminary and supported himself on savings. Speaking after the election, Donahue expressed an interest to relax a bit before his swearing in. But he indicated that the campaign had not been too much of a crimp on his life. With social media such a huge part of Millennials’ lives today, it too faces scrutiny. For Donahue, it was never really a problem. A lapsed Twitter user, he said his campaign Facebook page has been crucial, but his personal page is just a venue to keep in contact with friends. “I have always been conscious of how I appear in public,” he explained. All of those interviewed for this article had no regrets, however, and agreed diversity in age added to the process. “You really just have to be comfortable with who you are and what you think,” Wu said. Once you feel confident and if you have ideas that will benefit the community, you should go for it. “I think it’s worth it,” she said.